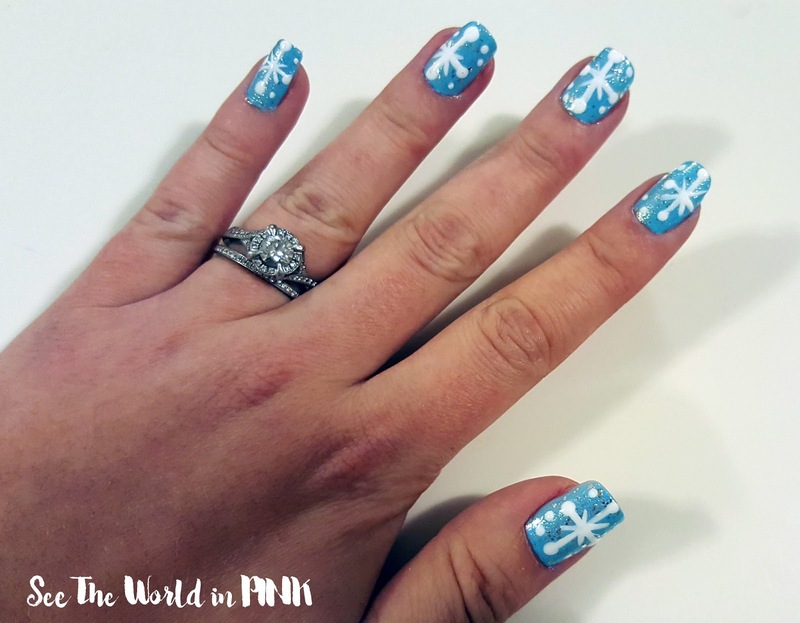 Manicure Monday Recap - My Favorite Christmas Nail Art! Happy Manicure Monday everyone! I hope you all had a great weekend - mine was crazy busy! So that explains why I don't have fresh nails for my Monday this week - trust me, it bothers me immensely; but, it will give me a chance to put a nail treatment on and let my nails rest for a couple of days! But, I still wanted to participate in our #CBBxManiMonday group - we are doing holiday nails all month! And, I actually love recap posts because it gives you so many fun ideas for nails! So, I thought I would recap my favorite Christmas (or holiday) nails today! Santa nails are so classic for Christmas! I love how cute these Santa nails turned out and they were easy! You really only need a nail dotting tool. You can check out my original post and a quick tutorial on these Santa's here. So, these little Rudolph's are actually from 2015 and my photography was not totally up to snuff - so, I could not get a great picture. But, I'm still so impressed with how these little guys turned out! You can see a little how-to on these nails on my original post here! I'm thinking these will be recreated soon! These are older too; but, I love little snowmen! (Can you tell I have a theme of loving all the cute little nail art for Christmas?!) I think they look so fun with their little scarves and carrot noses! You can see my original post and a little how-to right here! 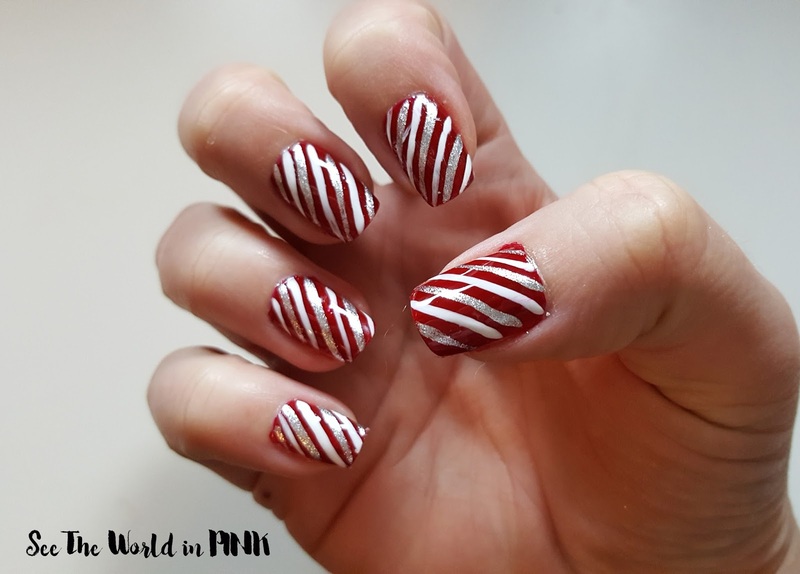 I love doing holiday stripes like these - they are easy and just add a touch of fun to the nails. You can do them any colours for any occasions! But this is simple for Christmas time - or add in a touch of green for a peppermint look! You can see my original post here! Snowflakes are perfect for anytime in Winter - I'm in Calgary and it snows from September to May; but, these always seem fitting for holiday time! I love they look and it just makes you want to cozy up with a hot chocolate by the fire when you look at them! You can see my original post on them here! What are your favorite Christmas nail looks? Make sure you check out Cosmetic Proof, Prairie Beauty Love, and Tea & Nail Polish to see their take on "Holidays" for their manis this week!